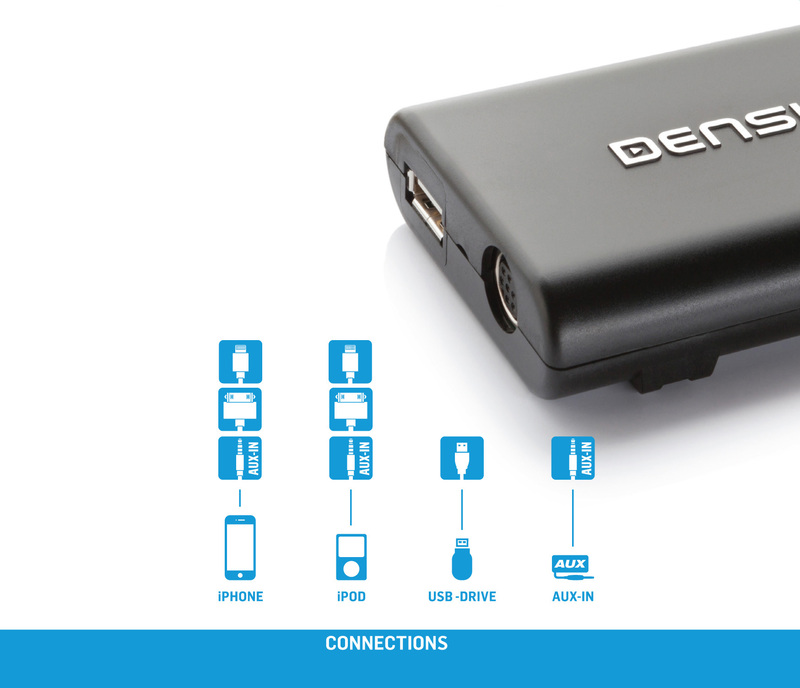 The Gateway Lite 3 is a basic car multimedia interface from Dension allowing music playback from a wide range of digital data sources. 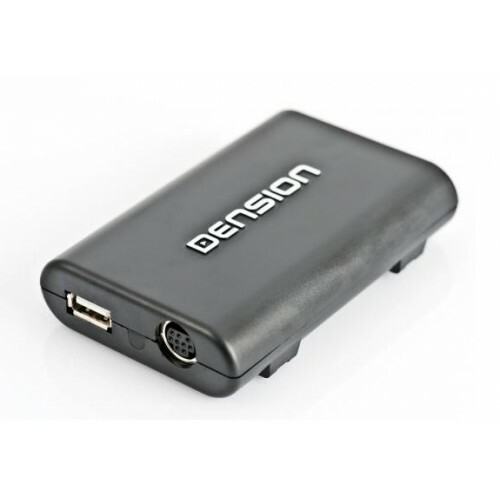 The Dension Gateway Lite 3 is not only an interface but a car multimedia adapter offering full device control using the car radio buttons as well as device charging in the car. Gateway Lite 3 is a fully integrated, invisible solution that allows you to use your iPod, iPhone, Smartphone, USB and AUX devices in the car without changing the car interior. It opens up the car’s original audio system to allow the playback of iPod, USB or *AUX-in music through your entertainment system’s speakers. Tuck your source away in the glove box and you can control using the car radio buttons as well as device charging in the car. The interior of your car looks exactly like it did the day you bought it, it just does a lot more. You must choose the docking cable option for a neater installation by simply having everything tucked away in your glove box or armrest. When connected to the car Gateway Lite 3 emulates a CD changer or an Aux input. The radio detects the music signal from iPod, iPhone or USB and plays it back through the car speakers. Device control happens by the radio buttons and the steering wheel controls. Once you’ve selected the album you can select the track by using the FFWD button of your radio or steering wheel. Every Gateway Lite comes with a comprehensive user manual but for quick start up just select the CD changer function; plug-in your iPod, iPhone or USB into the dock cable or cradle and enjoy the music provided by the Dension Gateway Lite. For detailed user manual please check downloadable documents below. Every Gateway Lite comes with a comprehensive user manual, but in most cases, you select the CD changer function, then CD6, and a series of menus are opened up to you to control your music. The FFWD key and/or steering wheel controls are then all you need to navigate around your iPod. If your car is fitted with a CD changer, the Dension Gateway will take its place, but you can retain it by fitting a CD retention kit.